Welcome to the gated community of West Hampton! Gorgous home on a large corner lot! 5 bedrooms plus upstairs BONUS ROOM with over 3100 sq ft! Fenced back yard with large covered lanai! Beautiful covered entryway with double doors and mature landscaping. Separate formal dining room and spacious family room open to the kitchen! Gorgeous eat in kitchen with maple cabinetry, Corian countertops and stainless steal appliances! Large master bedroom and bath with walk in closet, garden tub, double vanity and separate shower! Home recently painted inside. Newer Laminate hardwood flooring in living, dinding and family rooms. West Hampton is a wonderful community close to Pinellas county and the beaches, downtown, airport, Westchase, shopping, restaurants and more. Excellent schools! 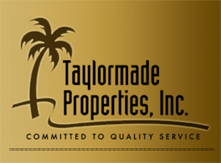 Listed by Paula Garcia of TAYLORMADE PROPERTIES, INC.